Injuries to the face are some of the most common problems we repair here in our office, and as you can imagine, this kind of trauma usually brings on quite a bit of emotional stress as well as physical pain. As an oral and maxillofacial specialist, Dr. Stewart E. Moreland is more than prepared to help patients overcome these types of issues and recover their health, appearance, and quality of life in the process. Treating these kinds of injuries requires a unique combination of science and art as well as plenty of hands-on training and experience, all of which Dr. Moreland has gained in his more than 30 years of being an oral surgeon. As a Diplomate of the American Board of Oral & Maxillofacial Surgery, Dr. Moreland is ready to provide optimal clinical care as well as a comfortable patient experience using the latest technology and techniques available today. No matter your situation, he’ll go above and beyond to make sure you have a positive outcome. Soft tissue injuries, such as cuts or lacerations, are typically repaired using sutures. Dr. Moreland’s goal with these kinds of injuries is to repair the area in a way that yields the best cosmetic results and helps preserve any surrounding structures, such as the nerves and salivary glands. As a well-trained oral surgeon, Dr. Moreland is extremely proficient at diagnosing and treating all types of facial lacerations. A bone fracture in the face is usually treated in a similar manner to breakages in other areas of the body. The location and severity of the injury are big determining factors in what kind of treatment Dr. Moreland will recommend, and the age and general health of the patient will be taken into account as well. Because a cast cannot be placed on the face similar to a broken arm or leg, he uses other means to stabilize the bones in the face to ensure proper healing. For fractures of the upper and/or lower jaw, he may choose to wire them together, or he might surgically place small plates and screws in the area to provide added strength and security while ensuring proper healing. This technique, referred to as a “rigid fixation” of a fracture, is a relatively recent development that has profoundly improved the recovery period for many patients, allowing them to return to their normal lives in less time. In the course of treating a facial fracture, a patient’s appearance should be minimally affected. Dr. Moreland will attempt to access the facial bones using the fewest number of incisions possible to minimize any visible scarring. For those that are necessary, he will take care to make them extremely small and place them so they are well-hidden. 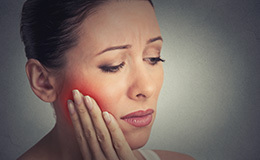 It’s quite common for the teeth to develop isolated injuries that don’t affect the rest of the face, and these often require the expertise of various dental specialists to repair. An oral surgeon like Dr. Moreland can usually treat severe dental injuries by treating fractures to the underlying bone and/or replanting teeth that have been dislodged or knocked out. One method of treatment is called splinting, in which an area of the mouth is stabilized by wiring or bonding teeth together. Dr. Moreland may also choose to work with other dental specialists such as an endodontist (who can repair damaged teeth that have sustained trauma to the internal nerve) or a restorative dentist to rebuild teeth that have been fractured. 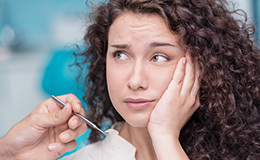 If a patient has experienced a knocked out tooth, they should try to recover it and contact an oral surgeon as soon as possible. The sooner a tooth can be reinserted, the better chance it will survive and fully reattach. 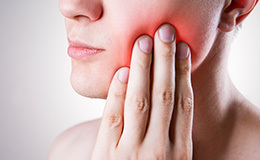 Dr. Moreland recommends that a patient should try to place a tooth back into its socket until they are able to see him. If this isn’t possible, the tooth should be put in a container of milk or saltwater. It’s very important that the tooth stay wet in order to keep it viable for reattachment. With the proper treatment and knowledge, even the most severe facial injuries can be successfully treated, helping a patient regain their normal function and full confidence at the same time. To learn more about how we’re able to help people with facial trauma, give us a call today.